For use in potentially explosive atmospheres, the submersible motor agitators in the ATP/BTP series are available in the “pressure-tight encapsulation” explosion protection category II 2G Ex d ib IIB T3 according to ATEX. The maximum coolant/medium temperature is 60 °C. 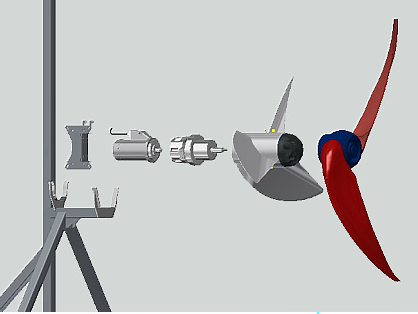 The use of propellers with optimum hydraulic design, different gear unit ratios and high-efficiency motors (IE2 and IE3 according to IEC 60034-30) achieves maximum overall efficiency. 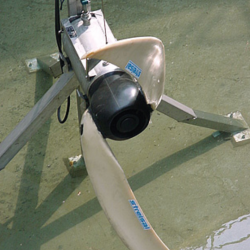 With large propeller diameters and low speeds, these submersible agitators develop maximum thrust. 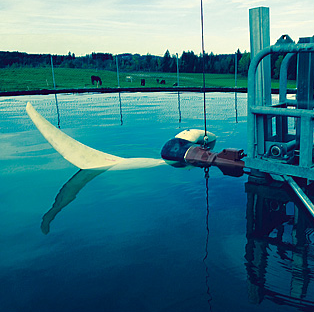 The flexible positioning and alignment means that the flow direction can be adapted to the particular tank shape. 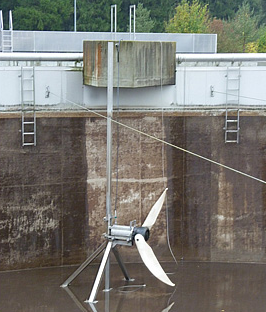 The self-cleaning propeller shape ensures a constantly high agitating effect and operation without vibration, even when the medium contains fibres. See the product description on streisal’s website.